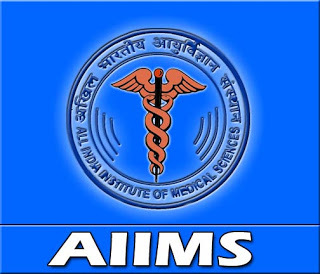 AIIMS Mangalagiri Jobs Recruitment Notification 2019.All India Institute Of Medical Sciences Managalagiri located in the state of Andhra Pradesh inviting applications for the positions of Group A, B & C Non-Teaching jobs through direct / deputation basis.Interested and Eligible candidates can apply for the positions. Number of vacancies to be filled in AIIMS Mangalagiri are 101. Get details like eligibility, selection criteria and other information by downloading the official job advertisement. Apply for AIIMS Mangalagiri Recruitment 2019 through online mode. 30th April 2019 is the last date for teaching jobs application submission. The due date for non-teaching jobs applications is 30th May 2019.
http://www.aiimsmangalagiri.edu.in/ is the link to apply online.